Product prices and availability are accurate as of 2019-04-21 18:31:20 EDT and are subject to change. Any price and availability information displayed on http://www.amazon.com/ at the time of purchase will apply to the purchase of this product. 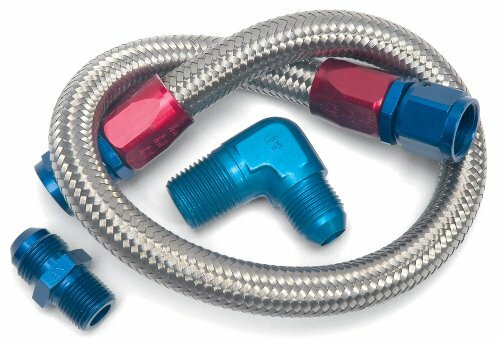 The Edelbrock Stainless Steel Braided Fuel Line Kit connects mechanical racing fuel pumps to the Edelbrock fuel pressure regulator kits. It is designed for use with Edelbrock's single and dual feed fuel line kits. The length of this braided fuel line kit is 22. 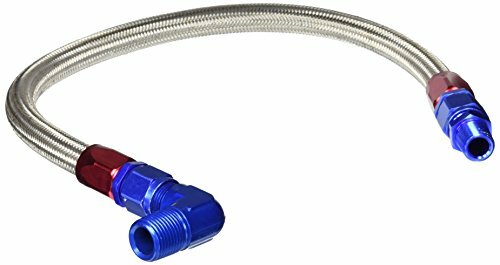 It fits 1/2 inch NPT outlets and 3/8" NPT inlet fuel lines and has a pre-assembled hose with hose ends. These high-quality stainless steel braided lines make it simple to complete your installation of any Edelbrock fuel pump to fuel filter. 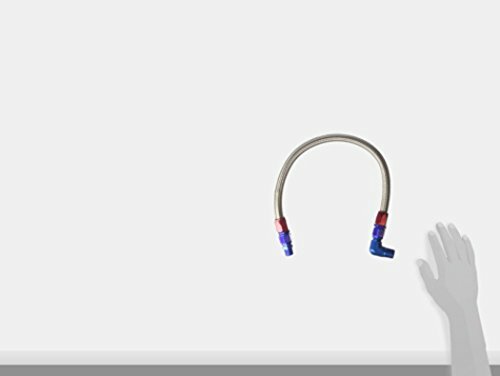 The Russell anodized aluminum fittings are included.